Make sure your managers and employees understand that successfully implementing the Balanced Scorecard will allow you to set fair, objective benchmarks. Once you create Key Performance Indicators to measure the results of their work, it will be easy to compare the results achieved by different business units—and even by individual employees. Who did the best job? Why did they finish their work more quickly or achieve better results? You may discover new techniques to do this job in a better way. Or, you may identify some bad practices that need to be changed. For instance, you might find that some employees are working only to improve the value of an indicator, not for the overall success of their team or your company. Whether you choose to update the indicator or clarify the instructions for these employees, the Balanced Scorecard will help you to find and solve the problem. As motivation is critical to the Balanced Scorecard implementation, you will find more balanced scorecard motivation ideas in the eTraining. The financial section in Balanced Scorecard articles includes articles on various topics related to Balanced Scorecard and Finance. You will find there BSC Best Practices, some really useful Guides on how to use Balanced Scorecard in Finance as well as Balanced Scorecard Success stories. What Makes a Good Indicator for Marketing? Success is the most deciding factor for the lifelong perspective of any business organization. It is a holistic observable fact that demonstrates the achievement of your temporary and long-standing business goals and objectives in a disciplined manner. This is why every industry would need to determine its success on a lasting basis. As a matter of fact, measurement is not a trouble-free job, because it needs your precision and devotion to be done on perpetual basis. In addition, you can without doubt make use of some most up-to-date tools and technologies for your business measurement. There are numerous tools for your business measurement but none is better than key performance indicators. “The key performance indicators (KPIs) are a measure of performance, which are more often than not used to define and calculate the organizational success”. How Does KPI Measure Your Business Success? 1. The key performance indicators will lend a hand you compute the positive and negative aspects for your industry in a well-organized manner. 2. The Human Resource (HR) managers play their essential role in any organization success. Therefore the key performance indicators will lend a hand you measure the performance of HR department significantly. 3. Your defined goals and objectives are the most important factor for your business success, so key performance indicators will help you define and calculate your organizational goals and objectives thoroughly. 4. When it comes to the sales volumes, they will assist you weigh up the activities and performance of your sales department absolutely. 5. On the other side, the key performance indicators will help out the managers to gauge the progress of production department as well. 6. Besides measuring the activities of production squad, they will too weigh up the performance of shipment department professionally. 7. Then they can evaluate the returns of your association thoroughly. 8. Transparency is an imperative function for every group. It shows that how competent and industrious your managerial system is. Consequently KPIs will lend a hand you check business transparency efficiently. 9. Another imperative viewpoint of KPI is that it will determine your customer service. 10. Lastly KPI measures the scope of a business. In short, these are very lucrative and also very adaptable measure productivity tools. One of the most striking aspects of KPIs is that they will provide you the best way out for business success soon. 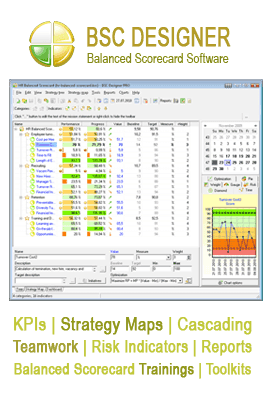 However you will only just need to learn the function of KPI so as to reap copious benefits. The process of financial benchmarking is often cumbersome owing to the myriad elements that one need to track which undertaking the benchmarking process. The inherent complexity forces many small and medium businesses to forgo the entire process. However, the task of financial benchmarking can be refined if the effort is concentrated on the key areas that are essential to give a correct picture. Typically an organization needs to focus on critical aspects such as capital structure, profitability and liquidity during the benchmarking process. Effort should be made to harness accurate data related to these areas and this includes data for cash collections, time frame for accounts receivable amongst others. Efforts should be made to ascertain the inherent credibility of the data under reference and also a thorough discussion needs to be done for identifying the appropriate peer group for the benchmarking process. If needed, multiple external data sources can be tapped into for getting the correct data. The process of financial benchmarking can be easily streamlined with the right focus and this is where a financial benchmarking scorecard can actively help. Such a scorecard allows the management to concentrate on areas that require their attention while allowing them to effortlessly track other areas without expending much energy. The concept of active portfolio management has at times drawn censure from conservative analysts who have labeled the approach as risky and unsound owing to certain disadvantages that it has. Some of the most common arguments made against active portfolio management include the possibility of making bad investment choices, an increase in tax burden and the incurring of excessive associated transaction costs involved from frequent trading. While some the arguments do have some merit, the whole process of active portfolio management can be optimized and made more responsible with the help of key performance indicators grouped together in a holistic scorecard. Fund managers should try to develop customized active portfolio management scorecards that are tailored to their investment requirements and the markets they are operating in. In addition while framing such a scorecard, one needs to lay emphasis on the fact that macroeconomic factors too are clubbed in to avoid wrong investment choices. Typically the scorecard can serve as an effective evaluation mechanism through which decisions which are deemed to carry a low probability of success are weeded out while the more sound proposal are kept on the table. Businesses will have to often distinguish some definite products or services in order to be acquainted with the precise price for them. Though there are some different matters and concerns that are surely needed to be negotiated and managed when it comes to settling the price tag or the worth of the particular product, the very first step is to dig deeper which among the assortments and types the products belong to. There are generally three guiding principles and codes that can surely help the businessmen evaluate the right price tag for the product or service. The first standard is called as billable which is more than capable of being invoiced. The second code is its opposite, which is the non billable produce and the last one is called as the partially billable goods. A noteworthy aspect of these all three codes is that they will not only determine your corporate costs and expenditures but also manage them properly. However, these may well be difficult to control and handle for someone like a new owner. Therefore, there is a need to regularly use accounting indicators to help the corporate employers out. Bear in mind that both billable and partially billable products are under warranty. Every business organization or entity has a goal and objective to provide the best quality products and services for the valued customers and this is particularly mandatory that all of these companies provide good customer services in which they would be able to get in touch with their potential clients and know purposely what their requirements and desires are. One of the things that you have to pay a close attention is the price tag of your goods and services that you going to sell them to your clients. This way, accounting software is there to help you out thoroughly. The accounting KPI is also recognized as the top banking indicator in which this is used to make sure the dissimilar costs of assorted products or services. In general, it is based upon the proportion of the surcharges and the discounts. When you have identified the accounting indicator, you will be able to confirm the stipulations that are perfect for the pledge of the products in turn for you to manage the pricing for the products. Further these indicators would allow you to distinguish the genuine costs that are concerned with your controlling processes. The accounting indicators are pertinent to customer service because of the truth that these are different decisive factors that are linked to the costs and returns of the service processing framework. With these indicators acting as a measure or standard, you can effortlessly set a criteria or merit regarding the cost elements by way of reviewing the volumes of the sales, the pledge or if it is in the case of your corporate identity and goodwill. Economic downturns are times when the management of an organization is severely tested over the financial health of the company. Even large scale enterprises are susceptible to bad investor sentiment and tepid market during a downturn and their financial health too can plummet. Also an economic downturn can prove to be a handy excuse for some employees to justify the poor financial performance of a division or even the whole company. In such a situation, financial benchmarking can come to the rescue of the management by giving a broad pointer on to how the overall industry is performing in the given scenario. While financial benchmarking in itself can to an extent offer a plausible understanding of the financial standing of your company in its own vertical, it is limited by lack of perceptive insights on specific trends. However when benchmarking is combined with KPIs, it offers a chance to lay stress upon specific aspects that if worked upon can a go a long way in improving the financial standing of the organization. Using a financial benchmarking scorecard further allows the management to isolate problem areas by checking them up with industry peers in a holistic manner and rationalise the corrective measure that need to be initiated. Often companies end up having huge cash reserves which need to invest in order to maintain the value of their savings. While an acquisition or an expansion are the most logical reasons where cash reserves can be utilized, at times such opportunities may be hard to come by. In such a scenario one needs to look at utilizing financial securities to maximise the value of the excess capital. Organizations today look at a diverse set of portfolio options when it comes to parking their excess cash. It is always imperative to plan the investments in a manner that they can be easily recouped whenever the company has a requirement and they also offer good value. Financial securities metrics can provide us with a building block for making these decisions besides allowing us to reap good profits through such efforts. Some of the key areas where such a scorecard can help us include understanding liquidity aspects, ascertaining the possible growth perspective and last but not the least the risk-return perspective which is very critical for retaining the value of the investment. If that was not all one can also effectively track the past performance issues related to investments in specific instruments. It has long been deep-rooted that finance KPI plays a vital role in the accomplishment of any business, no matter the range and term in the field. There is no wonder how many companies, even the least ones, are now constructing their very own systems of KPIs and metrics in order to measure performance and productivity of their businesses. However, just because you by now have a metric system running fairly vigorously for your venture does not indicate that you should before now stop in the hunt for improved and more encompassing ways to integrate and perk up your accessible KPIs. Therefore, there is a need to pay a close attention out for the latest trends in the field. At this moment in time, we have four latest trends to examine when it comes to the amalgamation of KPIs for finance. The first one refers to the role-oriented KPI tools. Mainly designed for ventures that are undersized or average in size, these methods are the ones that keep an eye on the entire organization procedures that carry out. Appraisal is also undertaken by these tools diagonally all the various course of actions that occur. The next trend generally refers to integration. Because of the recognized significance of KPIs in the field and market, more and more applications are being incorporated right into the applications of modern day’s offices and businesses. Because of such incorporation, there is now easier connection and easier execution of all the accessible platforms far and wide. This is absolutely one tendency that can assist any medium-sized business get just enough leverage and influence to get things and activities going the way they have to be. If you are the owner of such a project, then be convinced to examine this picky drift and movement. The third trend refers to data specialization. In the olden times, it was relatively hard for administrators to get their hands on precise and detailed data as considered necessary, mainly because there was just superfluous data to process and start on with. At the present with data specialization, a more accurate system is put into practice, allowing easier access to explicit data and information. With this comes the accomplishment of the goal of data collaboration also. The positive aspect about all of this is that these most up-to-date performance management systems still have the imaginative idea of the KPIs in mind. The system still gives the corporate executives a precious idea of the productivity and the growth of the business quite easily. And on account of the accomplishment of role-oriented KPI tools, it is absolutely easier to cope with the explicit needs of specific departments, whether you need to undertake the needs of operations, customer service, bookkeeping, even sales. The foremost step in balanced scorecard building is to construct a strategy map for the reason that you will have to copy the essential factors there for your balanced scorecard approach. As you may be acquainted with the strategy map is what you will perceive as a straightforward and visual representation of the intentional objective of a corporation in the utmost level. It will be grouped in accordance with four dissimilar areas that are identified as perspectives. These are customer perspective, financial perspective, internal business process perspective, and learning and growth perspective. You can customize your strategy map by taking into consideration the key stakeholders of your organization. The four key perspectives that you have included in your map will also be attributed to the balanced scorecard. From here, you would need to comprise your corporate goals and objectives that usually vary from eight to ten goals. These come into view in the shape of short statements. For example, when you employ the customer perspective, you can merely put there bounce back customer pleasure. You can derive your corporate goals from the SWOT analysis that involves strengths, weaknesses, opportunities and threats. These are the ones that you have to concentrate on. Next is to recognize the right measures that will help find out whether the corporation is in the right track or not. Measures are the tactical indicators that analyze the success of every goal and objective you have contained. For instance, when you have the ambition to perk up customer satisfaction, you can gauge this by average customer satisfaction score. You can as well put in additional indicators like number of customer complaints plus product return rate. If you are able to evaluate the authentic data based upon the efficacy for this perspective, you will be able to set off the stoplight indicator that will help in providing a quick and comprehensive picture of the existing rank of the measure. This more often than not comes in three colors: red, yellow and green. Finally, the balanced scorecard building includes the administrator to recognize the initiatives that will lend a hand the business entity address the important areas that are underperforming. These initiatives indicate to ventures that are time explicit. This signifies that there are starting and ending dates that have by now been specified. These initiatives have to be associated with the underperforming goals, objectives and measures too. This step will assist one to seal the gaps. Lastly, you would be able to rotate the stoplight indicators to green rather than yellow or red. If you truly want to see positive outcomes, you must know that you will need to cascade your balanced scorecard to drive output and productivity.